In collaboration with deans and other academic leaders across campus, the vice provost for teaching and learning provides leadership, coordination and administrative support for UW-Madison’s teaching and learning mission as part of the Office of the Provost. In addition, the vice provost for teaching and learning leads and supports numerous other strategic priorities that define the university’s teaching and learning environment including institutional accreditation and undergraduate advising. 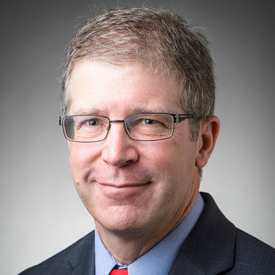 Appointed in 2014, Dr. Steven M. Cramer currently serves as the vice provost for teaching and learning, building on his prior leadership roles in the College of Engineering and across UW-Madison. He began his academic career at UW-Madison as an assistant professor in Civil and Environmental Engineering. In addition to a career long pursuit of new approaches to teaching and learning, Cramer’s scholarship is in structural and materials engineering. He is a fellow of the UW-Madison Teaching Academy and was awarded the Chancellor’s Distinguished Teaching Award, the Tau Beta Pi National Mentor Award, the Champion Award for Advancing the Status of Women at UW-Madison and others.